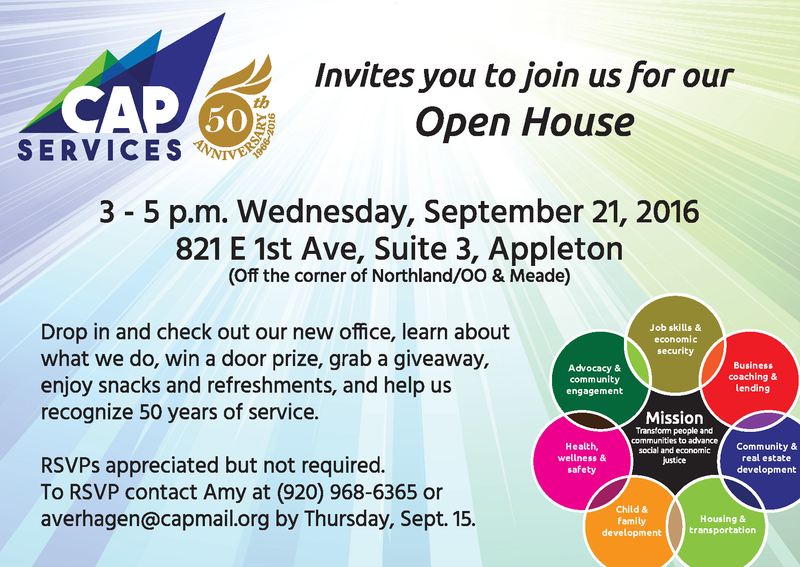 Appleton Office Open House – CAP Services Inc.
Join us for an open house from 3 – 5 p.m. Wednesday Sept. 21, 2016 at our Appleton office, recently relocated to 821 E 1st Ave, Suite 3, in Appleton. RSVPs appreciated but not required. To RSVP contact Amy at (920) 968-6365 or averhagen@capmail.org by Thursday, Sept. 15.